For the past five years, the European Foundation of Human Rights (EFHR) has been offering free of charge legal advice concerning human rights violations. We have also been organizing training sessions in the same field. 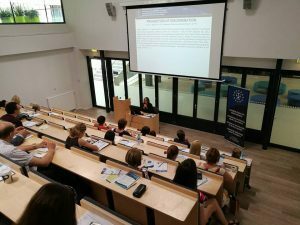 On the 29th of June 2016, EFHR organized a free course entitled ‘Application of international and European Union law in cases of discrimination in Lithuania’. Held in the auditorium of the College of Social Studies, the training session on the implementation of international law was conducted by Ewelina Baliko, an EFHR legal assistant who also conducts workshops on discrimination for businesses, represents EFHR at international conferences and acts on behalf of families that are taking their struggle for the original spelling of names and surnames to court. The training was intended for anyone taking an active interest in human rights. Lawyers, attorneys, prosecutors, NGO employees, students and other volunteers were all encouraged to attend. There were 42 participants at this session and each of the attendees received a certificate of participation. The main points of focus at this latest training were: the place of international law and European Union law in the legal system of Lithuania; verdicts in cases involving discrimination dealt with by the European Court of Human Rights (ECtHR), the Court of Justice of the European Union (CJEU) and the United Nations Human Rights Committee. Consideration was also given to the verdicts of the ECtHR, the CJEU and the United Nations Human Rights Committee in cases concerning respect for private life and the application of international law and its mechanisms in Lithuanian courts. In the past, EFHR has organized a number of training courses, during which specialists in the area of international law have shared their experiences and observations with participants. 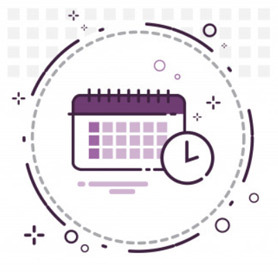 More information about our past courses can be found here. The next training session concerning the implementation of international law will be organized for September 2016 (we will soon publish details on the EFHR website). If you are interested in participating in this training course or you would like to ask EFHR about conducting a similar session at your place of study or employment, please contact us by sending an email to info@efhr.eu.